Back patio area of 337 Spruce Cone currently getting sided. 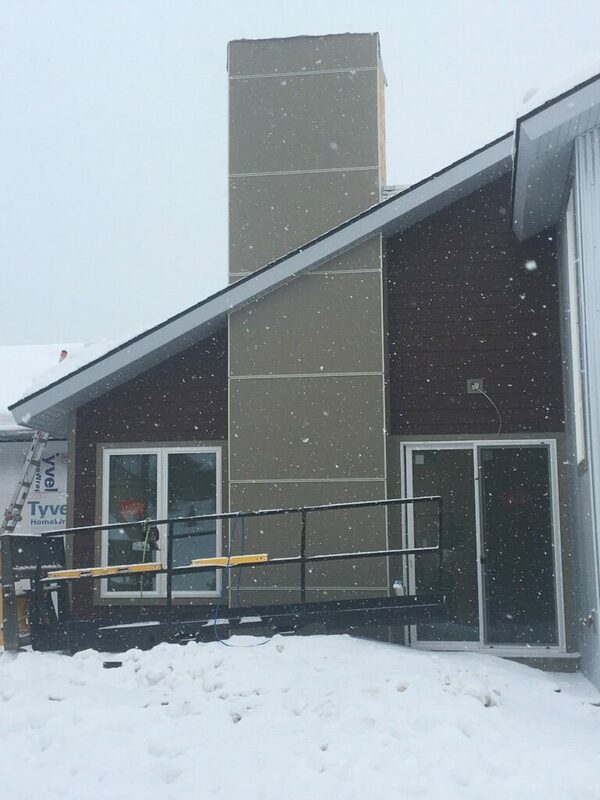 359 Spruce Cone siding coming along nicely. With all the snow this year, the crew is enjoying a sunny day. 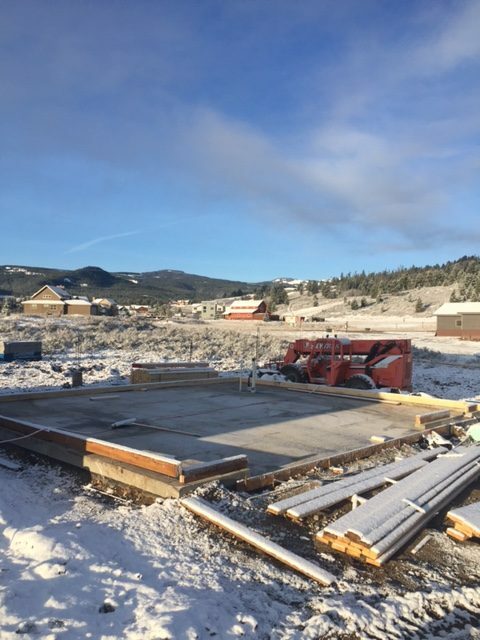 We have a lot going on in the Meadow with three homes under construction. 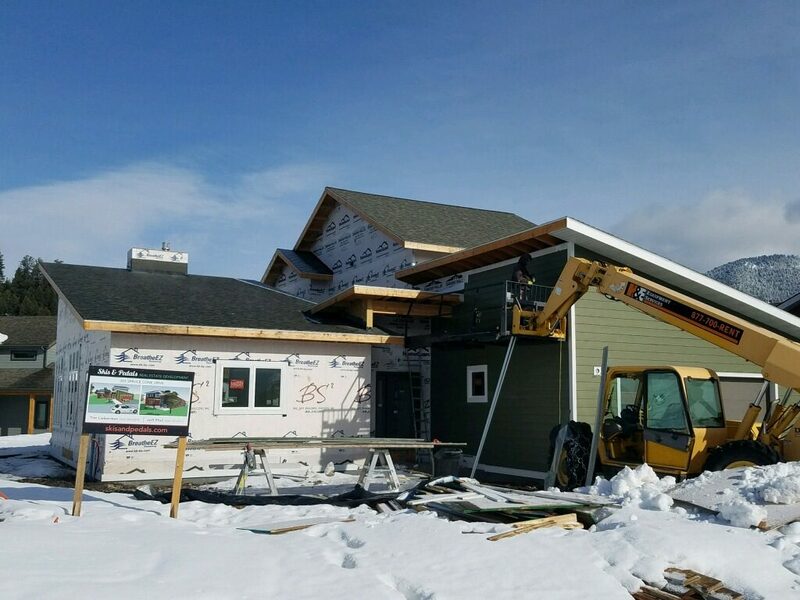 April 28th– We are well into construction on 313 Spruce Cone. Walls are sheet rocked and textured and finishes are starting to go in. 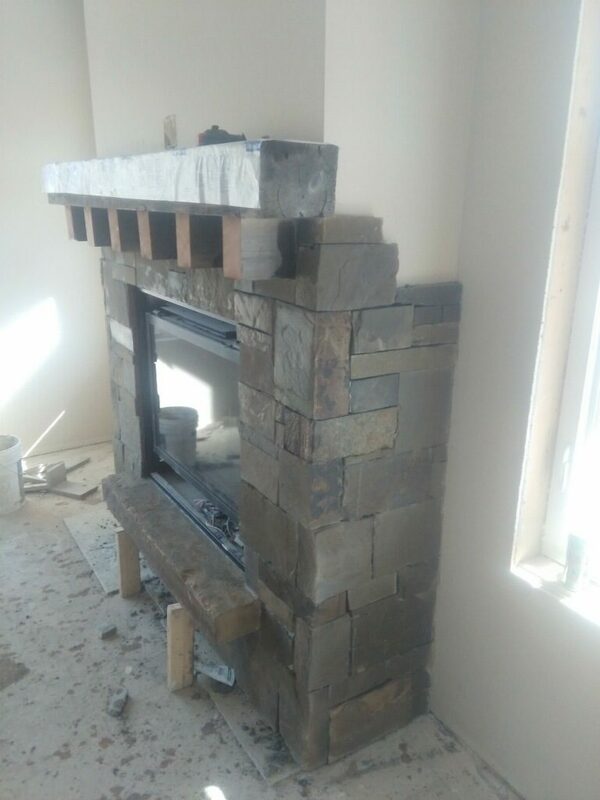 The fireplace is one of several special features we put in our homes to set them apart. The stone you see is gathered in Montana from fields. It is not engineered in a factory across the country. The timbers were hand selected from one of the local reclaimed wood distributors to create the one of a kind mantle. We’ll be doing something pretty fun with the kitchen island and barn wood. Stay tuned! April 11th– Foundation and flatwork completed on the accessory apartment. The framing crew is ready to go. The porch is completed on the main house as is the wall texture. 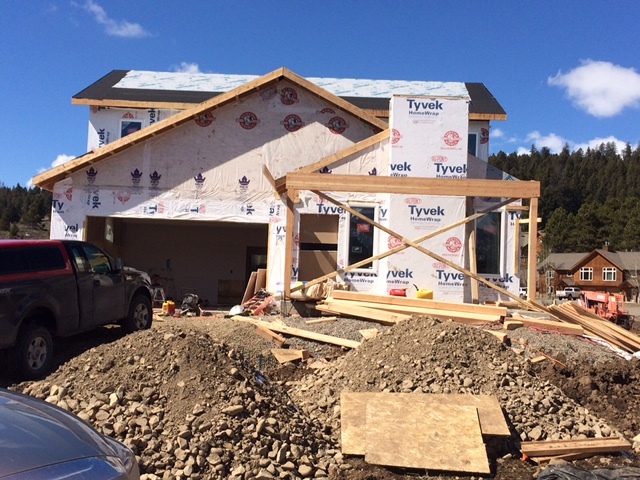 April 4th– Almost framing complete. We have a few timbers to set at the front porch. We are dried in and sheetrock is going up. We’ve got guys and gals on site texturing and beginning the roofing. 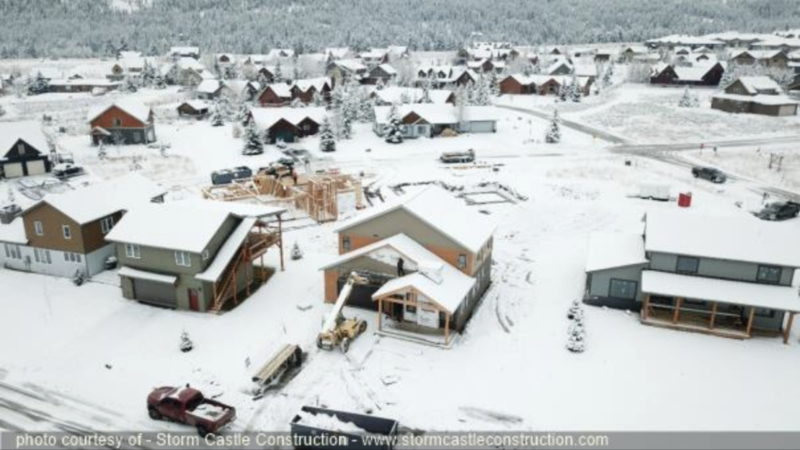 Jan 17th– Construction breaks ground on 313 Spruce Cone Drive on a warm winter day. With the snow cleared, the crew gets to work cutting the hole for the footings and foundation taking great care to blanket the bare ground to keep frost from setting.